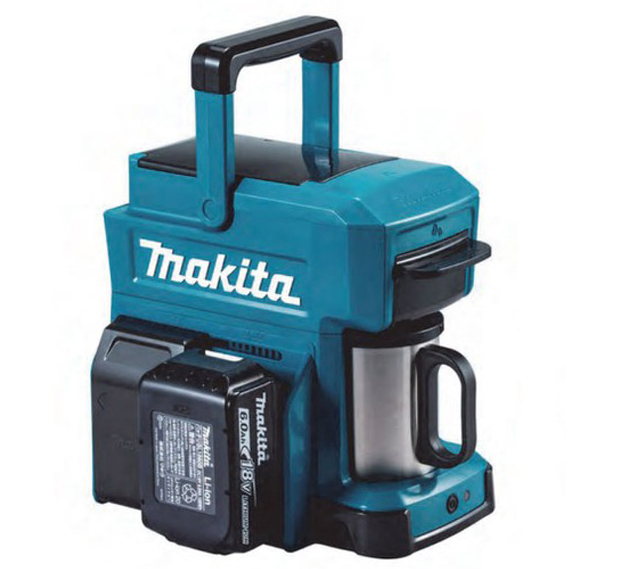 Made by power tool-maker Makita, this is the ultimate coffee machine to energize construction workers, charged by the same batteries already in use on work sites. The CM501D is designed to derive energy from plug-in, rechargeable, lithium-ion power sources that drive cordless screws, drills, saws and other standard equipment. For those unfamiliar with them: these swappable systems (used by various companies) add simplicity and redundancy, allowing different tools to work off share batteries, so some can be recharged while others are in use. The Japanese company behind this unusual battery usage boasts the mobility of the device, which can be brought to work sites that are not yet plugged into the grid. It can make about a half-dozen cups on a single 18V battery charge, from modular coffee packs or ground coffee It is convenient, requiring no paper filter (grounds can be poured straight in), compact, versatile and fast. 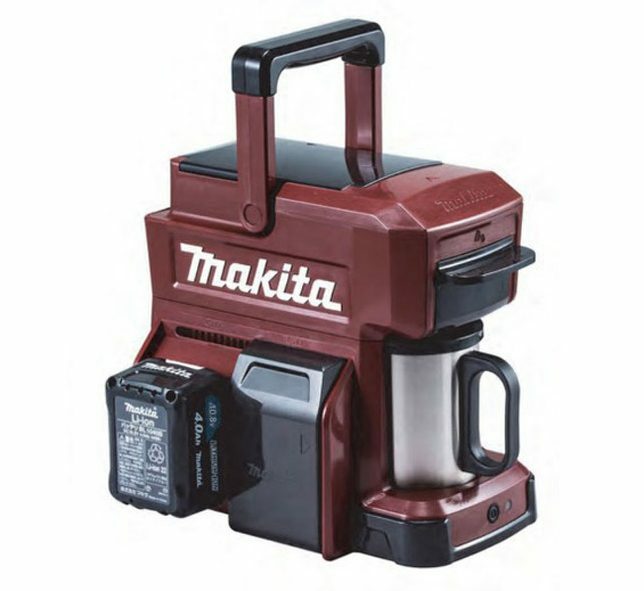 Makita’s first coffee maker went on sale in 2015, but the design was more conventional — it was less robust and compact (featuring a cord that batteries could be plugged into). The new model is made to me sturdier and safer, an all-in-one machine without any lines to trip over. As a general strategy, this powering system opens the door to other similar ideas, too — anything needing electricity on a building site could be adapted to function in a similar way. 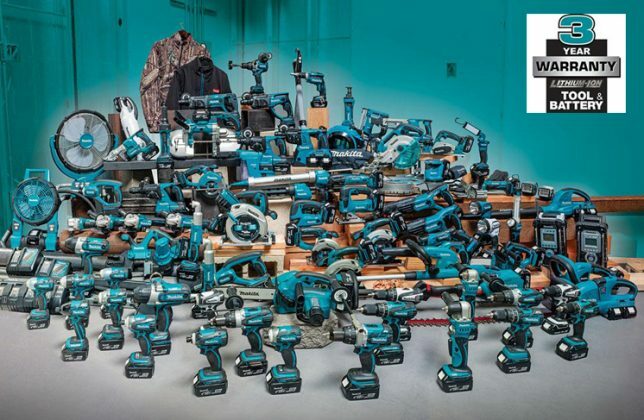 Meanwhile, other toolmakers (like DeWalt, Ryobi, Bosch and Dremel) could learn a lesson or two from this manufacturer.